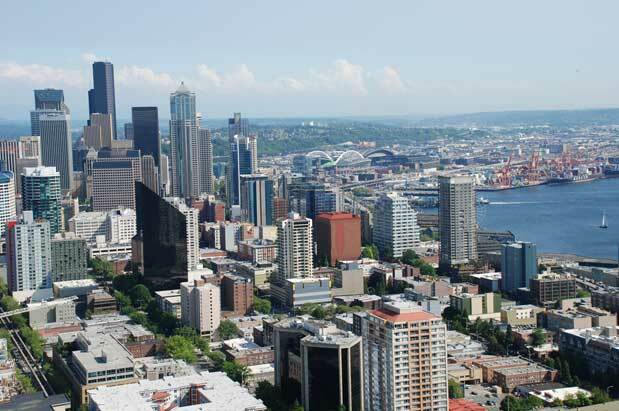 Seattle is booming economically, but as we know, it’s a haves and have-nots economy. A major dilemma is everything we try to do to make the city more livable also makes it more expensive for people who live here now, and in the future. Which is why I couldn’t greet the Mayor Ed Murray’s recent announcement of a new nearly $1 billion transportation levy with much joy. I sometimes feel like we’re shopping at Whole Foods while we’re hungry for dinner. We keep grabbing tasty-looking stuff off the shelves and stuffing into our over-sized shopping carts. Murray’s proposed levy, by the way, is double the last one (in 2006) under Mayor Greg Nickels. Our appetites are hearty. The new transportation levy, for example, will add about $275 per year in property tax for a $450,000 home in Seattle. That’s not chump change. That’s on top of the $148 per year for a $400,000 house we just voted for with the new Parks District. Oh, and there’s the new Transportation Benefit District for transit that we just approved, for $60 license fees and a 0.1% boost in the sales tax. And another thing: don’t forget we just approved rollout of universal pre-K in Seattle at a cost, in property tax, of $14.5 million a year for the next four years. It’s a great civic feed that we’re on. Still, you can’t be livable if first you’re not affordable, right? I haven’t even mentioned the other spending that will likely hit taxpayers. A state transportation plan is in the works that’s looking at bumping the gas tax up by 12 cents a gallon, mostly for new highway and roads spending. Call it a high carb(on) diet. Just to get the Seattle side of the 520 expansion project finished--essentially from Foster Island to I-5--is going to cost more than $1.5 billion, says WSDOT, already $100 million more than previous estimates. Every time I think of Bertha, I sense the tunnel project is perpetually ka-chinging for someone (the lawyers will figure out who). There’s the upcoming waterfront do-over, both substantive (the seawall) and cosmetic (fountains and a floating pool). The total tab is over $1 billion, and has risen due in part to Bertha delays. Another round of Sound Transit funding is in the offing. And there’s more on the wish list. I get we’re (mostly) good liberals who want a better—nay, the best—city ever in existence. But when I see yet another price tag like $1 billion for transportation, I have to groan from a sense of civic over-eating. The arguments in favor of it are the inherent worthiness of many of the projects (more multi-modal corridors), the claim that we are “under taxed,” and, Mayor Murray says, that when the new transportation projects have kicked in, it’ll save us money (cheaper transit options for commuters). Maybe. But, I’m feeling the early stages of levy fatigue. We need to find some creative ways to lessen the cost impacts of our “good” works and speed up the pay-offs of promises that count on massive, slow, incremental social changes over time. What can we do with regulations at no additional costs to boost housing and control rents or expensive condo conversions? I worry that someday soon, the only people living in Seattle will be the people for whom these taxes aren’t real money. Not everyone can afford a Whole Foods diet.